The rough set theory was proved of its effectiveness in dealing with the imprecise and ambiguous information. Dominance-based Rough Set Approach (DRSA), as one of the extensions, is effective and fundamentally important for Multiple Criteria Decision Analysis (MCDA). 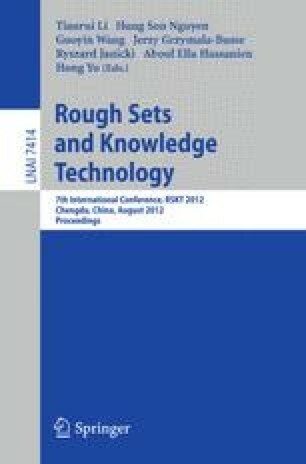 However, most of existing DRSA models cannot directly examine uncertain information within rough boundary regions, which might miss the significant knowledge for decision support. In this paper, we propose a new believe factor in terms of an intuitionistic fuzzy value as foundation, further to induce a kind of new uncertain rule, called believable rules, for better performance in decision-making. We provide an example to demonstrate the effectiveness of the proposed approach in multicriteria sorting and also a comparison with existing representative DRSA models.